A company based in the UAE approached Kee Safety LLC and asked for recommendations to solve a problem that has been identified during a Health and Safety audit. 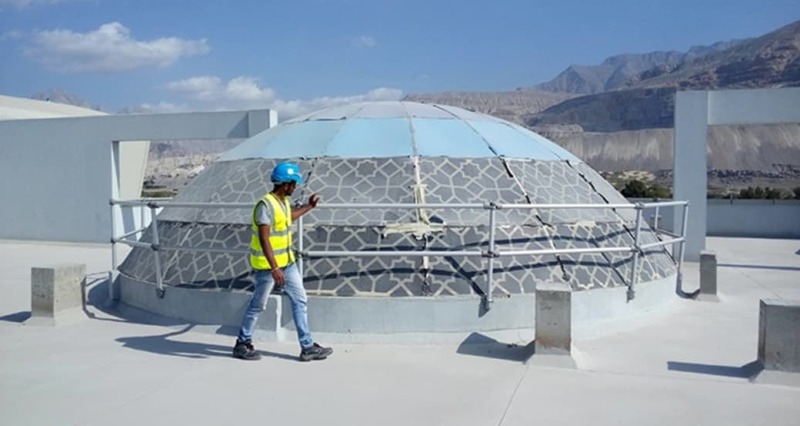 An architectural glass dome on the roof of the main office building was considered a danger as no protection was in place to stop employees carrying out maintenance on the roof falling through. The roof top glass dome presented an interesting challenge for us as the guardrail was to be circular. 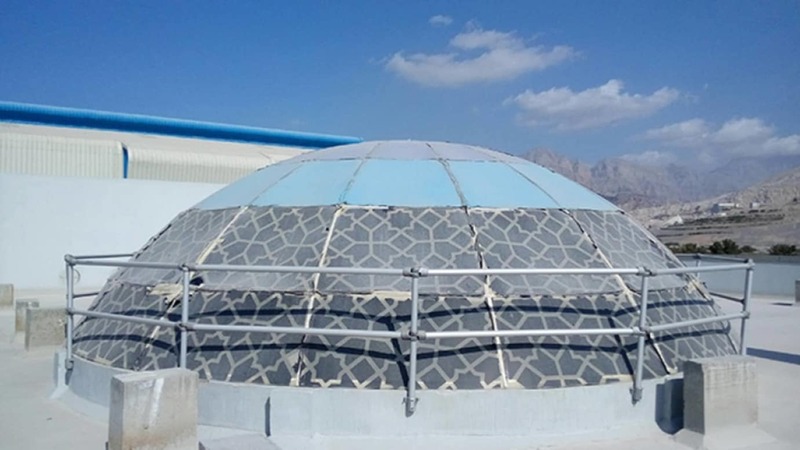 Kee Safety recommended installation of safety roof top guardrail around the dome made from our Kee Lite aluminium fittings. The L19-8 Adjustable Side Outlet Tee has been used to construct the circular guardrail.